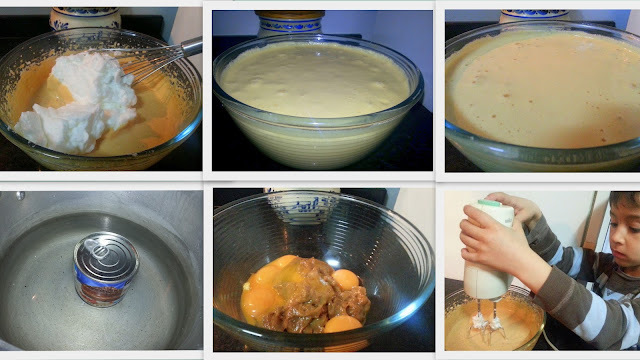 É Baba de Camelo ...é fácil de fazer ,muitooooo bom ...nada mais a dizer!! Separe as gemas das claras.Bata as claras em castelo bem firme.Reserve.Demolhe as folhas de gelatina . Misture muito bem o leite condensado cozido com as gemas.Escorra as gelatina e derreta no microondas uns segundos até derreterem.Junte misturando bem ao preparado anterior.Por ultimo junte as claras envolvendo-as bem sem mexer muito.Leve ao frigorífico durante pelo menos 2 horas antes de servir! 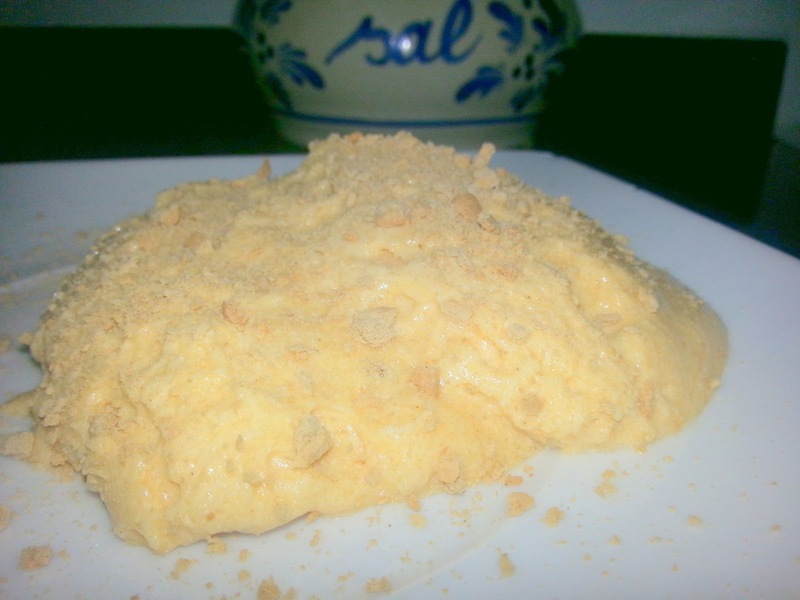 It´s Camel Slobber ...easy to make, very good ... nothing more to say! Separate the yolks from the whites. Beat the egg whites very stiff. Reserve. Soak the gelatin sheets. Thoroughly mix the condensed milk cooked with egg yolks. Drain the gelatin and melt in the microwave for a few seconds . Stir well and mix it . Finally add the beaten egg whites whithout involving them to much. Refrigerate for at least 2 hours before serving!